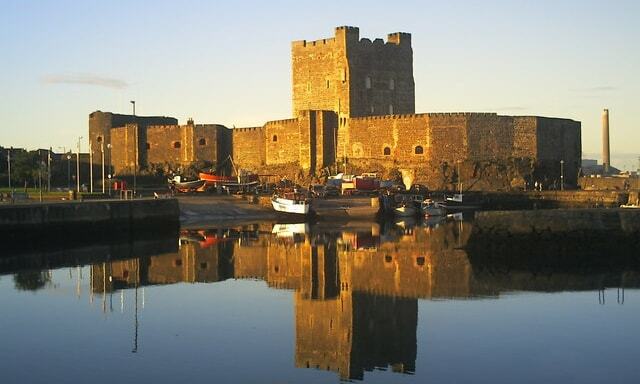 Carrickfergus Castle is a Norman castle in Northern Ireland, situated on the northern shore of Belfast Lough. Besieged in turn by the Scottish, Irish, English and French, the castle played an important military role until 1928 and remains one of the best preserved medieval structures in Northern Ireland. It was strategically useful, with 3/4 of the castle perimeter surrounded by water. Today it is maintained by the Northern Ireland Environment Agency as a state care historic monument.